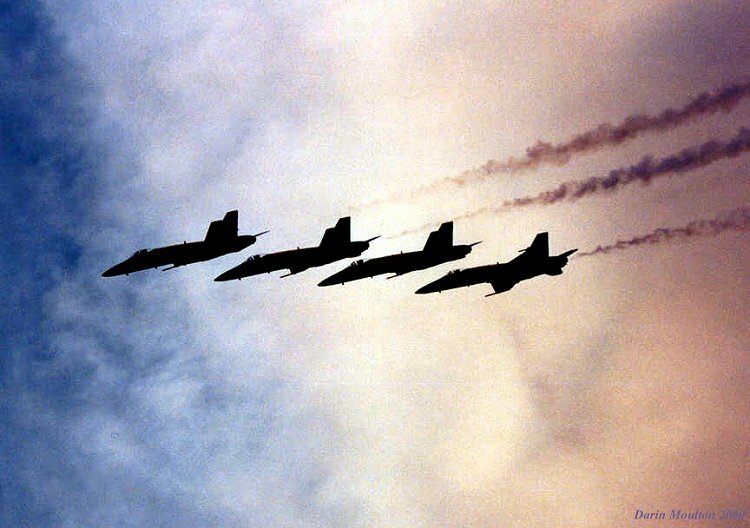 Just thought that I'd send you a photograph I took while stationed at Ellsworth AFB South Dakota. I was out at the south end when they made a pass and I took this as they were in the turn. The dark area to the right is actually smoke. The day prior a big forest fire had started and it wasn't until the afternoon of the show that you could really see the smoke. I've also sent another great photo, since I'm Air Force I have to promote our guys some. 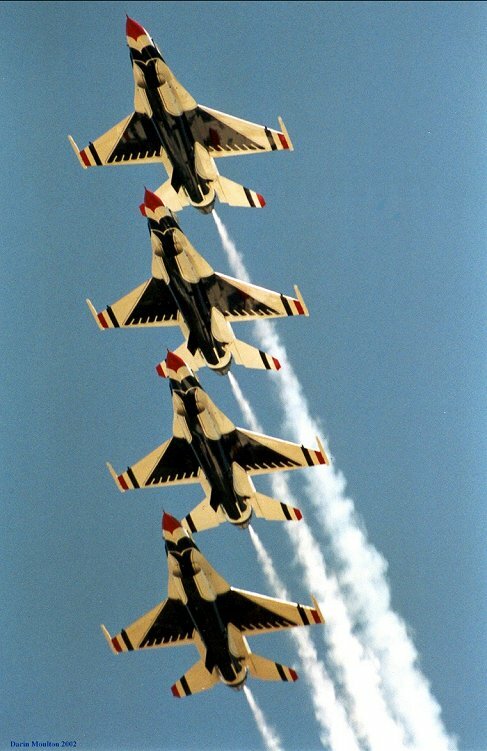 The T-Birds is one at Langley, AFB 2002 show.